‘Edmund George Capon AM, OBE is a two-way mirror. 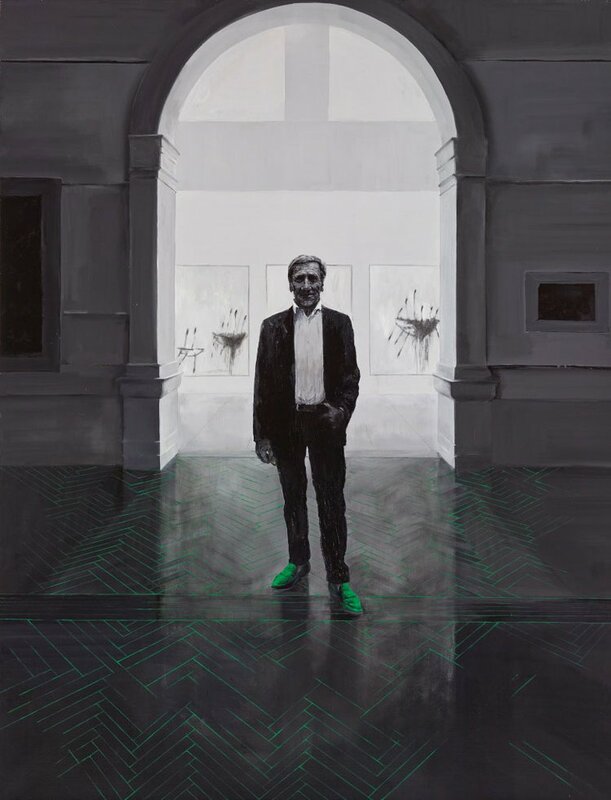 As the former director of the Art Gallery of New South Wales, he reflects society. As Edmund, he reflects himself: courageous, humble, persevering, witty, sincere and, above all, mysterious,’ says Tianli Zu. ‘Edmund is an art scholar who specialises in Chinese art and philosophy; my interest has always been the interplay of yin-yang. To this end, our world-views coincide. ‘I wanted to capture not only a physical resemblance, but moreover a spiritual likeness. Edmund’s poetic figure exists in the shadows. He is revealed yet masked, inviting the imaginations of viewers. He looks small, shrouded in tones of black, casting a sense of emptiness. However, according to Taoism, emptiness resonates openness. ‘Cy Twombly’s paintings, Three studies from the Temeraire , hang in the background. Edmund acquired them for the Gallery in 2004. Like Edmund, Twombly reveals innovative cultural encounters and possesses the characteristics of mystery, intuition and simplicity. Tianli Zu is a Chinese-born Australian multi-media artist. Her work captures experiences of places and cultures through intuitive and metaphysical means.